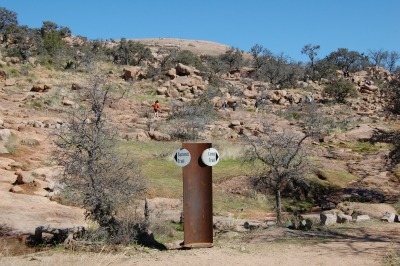 It’s not often you can see a pink granite monolith in North America, but it Texas you can! Located in the Central Texas Hill Country, Enchanted Rock is one of a kind. 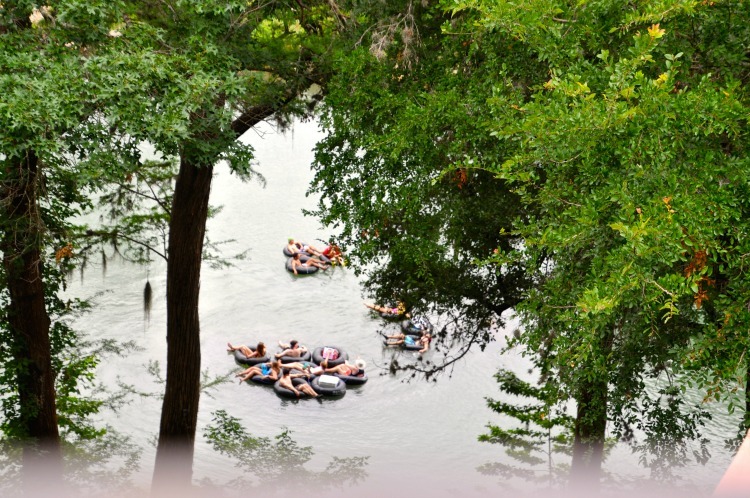 It’s a Texas treasure that people put on their bucket lists. Though it’s not too difficult a climb, the sense of accomplishment of getting to the “summit” and seeing Texas stretch for miles is incredible. 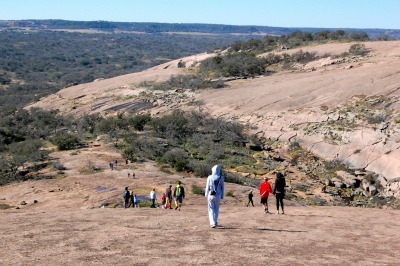 Enchanted Rock is an enormous pink granite hill that is in the middle of the Texas Hill Country. The Rock rises 425 feet above ground, 1825 feet above sea level, and covers 640 acres. It is one of the largest batholiths (underground rock formation uncovered by erosion) in the United States. Enchanted Rock is named after the unexplained creaking & groaning, which geologists attribute to the rock’s night-time contraction after being heated by the sun all day. There is a lot of fun folklore surrounding the name that makes for great campfire stories. You can hike the summit trail easily within 20 minutes. It will knock the wind out of you, even if you are in shape, so we recommend you take your time. It’s a great excuse to stop and take some pictures. The view is magnificent. My kids’ favorite part is the back-side of the summit. They like to crawl around in the caves while the parents can “sun” themselves and take a breather. There are several paths to make your way down when you are ready. Enchanted Rock State Park has other large rocks to climb and some great trails that lead you all the way around the base of the main rock. You can also do some primitive camping if you’d like. This is such a popular Texas attraction that you have to get here early. The park limits how many guests can be in at one time and closes the gate once they reach capacity. This typically starts around 10 a.m. The park allows more cars in once parking opens up. Your best bet is to try to be there as close to opening as possible. Hiking, primitive backpacking, camping, and some forms of rock climbing are enjoyed year-round at the park. We have been several times with the kids, just hiking, climbing, and exploring and each time we come, we experience something new. You can make plans for a quick hour trek up to the top or an all-day hike exploring the accompanying rocks and trails.